Let’s be real. Whether we like it or not, we all encounter obstacles on a daily basis. Some days you wake up and you just have an off day where nothing seems to go right and you are plagued by continuous obstacles. Whether they are big or small, they are all obstacles. But I'm not really talking about the life altering ones, rather the every day hiccups that make ya nuts. 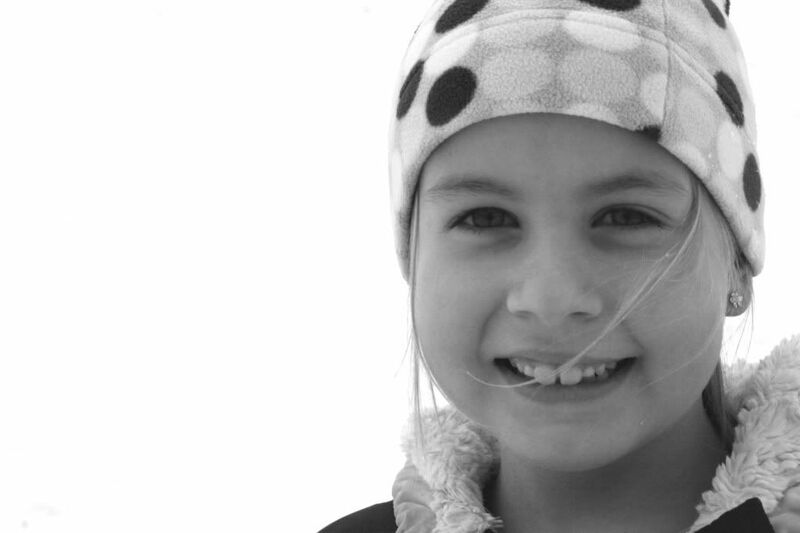 As much as you plan for a great day… these unexpected things pop up and complicate life. They can bombard us until we feel exhausted and defeated. So, why are obstacles placed in our paths? Is it to keep our blood pressure in check? To teach us greater patience? To give us reason to meditate? To prevent us from being happy? To help us better appreciate good days? Or to make us crazed lunatics? This is a thought that has run through my mind several times this week as I have come up against many different obstacles. Then I downloaded my photos for the week. As I reviewed them I was a bit shocked (my memories didn't seem to match what I was seeing). To any outsider it would appear to be a perfect week and as I reflected on the many fun moments we enjoyed as a family, I realized that it really is all in our perspective. We are the authors of our own stories. At times we have little choice in the outcome. We can't prevent a headache, a train, mother nature, etc. But we do get to choose how the outcome affects us. This is a definite work in progress for me right now as I struggle to not let the bad outweigh the good. Why is it that negative experiences seem to stick so much better in one's mind? I'm happy to have these photos as a reminder of the many wonderful moments we shared as a family this week. I realize that obstacles can help families work together to become more unified. They also give us greater adventures; how dull life would be if it was always smooth sailing. It seems to bring greater joy and appreciation for life's experiences and can feel so empowering when we work through them and come out the other side. 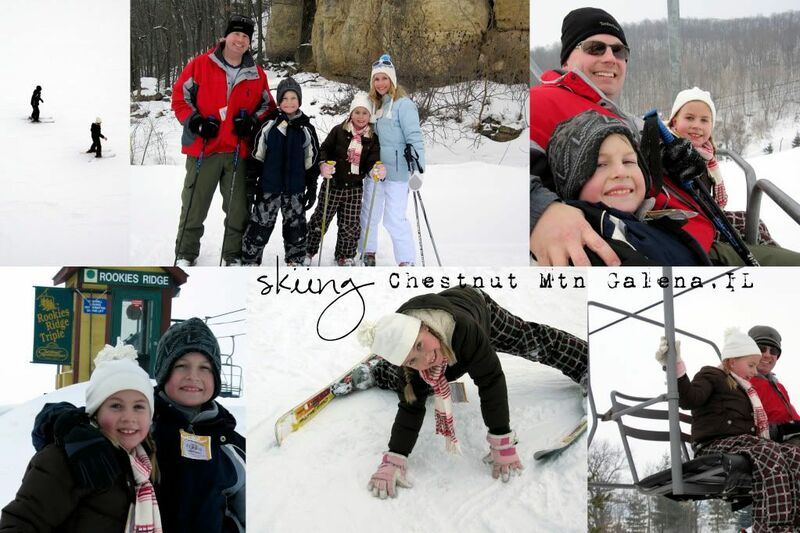 For Groundhog Day Haldan was off and we pulled the kids from school and decided to make the most of the fresh snow and go skiing. It was a fun day overall. The children had never skied before, so we got them a 1 hr lesson. Pokey was confident immediately and Little Man was more timid, falling several times. When we hit the bigger slope Pokey fell a few times and lost some of the confidence factor, while Little man really took off (both metaphorically and literally). We had tried to make sure they could do wide turns before we advanced to the larger hills. He disregarded everything we said. He just went straight down, no turns, and super fast. We literally couldn’t keep up with him. He only fell 1 time in the very beginning and then never fell again the rest of the day. It was so nice to see him so relaxed and confident. He’s generally our stiff child that is afraid to take risks. Pokey did great too, but she is naturally better at trying new things. Towards the end of our day there we got on the ski lift to make our way back up. It was a 4 seater and for whatever reason Little Man was dead set on the left side. Well, being a little clumsy on her skies, Pokey skied into that exact spot right before the lift came and Little Man ended up on top of her. The lift was taking off and they were pushing and fighting oblivious to the fact that they were about to fall out of their seat. They had to manually shut the machine down to get them back in their seat. I ended up sandwiched between the kids. When it was time to get off the kids gave me no room to put my skies down and before I knew it the machine was going back and I was still on. I had to literally jump off from like 6 feet off the ground. Pretty scary when you’re an amateur like myself. I fell and lost a ski and Pokey fell. Again they shut the machine down for us. I’m sure they were happy to see us go. The good news is the kids still want to do it again and we left with no broken bones. The 2 hour drive home felt like 8. The kids were extra wound and fought every single minute of that drive. Nothing like a wild 2 hour drive. We stopped for dinner and it only got worse leaving me to think that maybe we need to have a no sugar rule on days in the car. We tried the quiet game towards the end of the drive, which seemed to work for awhile until someone thought another one had cheated. By the time we finally made it home we were drained in every sense of the word. The kids went down fast and slept like logs. This is Pokey trying to put on a brave face after a fall. She was a trooper. The next day it was back to reality. Haldan was on long 12 hour days and I had to work late. I was 20 minutes late to pick the kids up from school... a long line at the post office, 2 trains, and a dump truck later I finally made it. But nothing I said seemed to make them less mad or able to forgive me. We got home and little man was supposed to clean the guinea pig’s cage. They may be cute to look at but don’t let that fool you. They are gross varmints and I secretively despise them. I spent over 2 hours cleaning guinea pig poop out of my basement. I know, gross. I found it under the couch, behind the couch, in the couch, you name it. I also found a spot where they had peed on our micro fiber chair. I was livid. We had a long sit down with the children and gave them an ultimatum. "Cage to be cleaned Wed and Sun. If I find a single piece of poop, empty water or food container, or you playing with them outside of the designated area… they are in the paper. Period." And I don’t even think I will feel that bad about it. Anyone who knows me knows that not only do I like a clean, tidy home, I also have an extra strong sense of smell. Guinea pigs do not fit well in my world. I think under the circumstances I've done rather well. So, after cleaning the basement from top to bottom and inside out… the children decided to tear it up and build a fort and get out every card game we own. When I went back down the basement was a disaster and the remote had gone missing. I have searched high and low, in every nook and cranny that I could think of. Day 5 and still no remote. It makes watching my dvr’d shows a pain in the you know what. Watch tv without a remote? What are we in the 80s? Then it suddenly dawned on me to just call mediacom. We got a new remote for $15. If we find the old one we can return it and get our money back. If not it's totally coming out of the kid's allowance. Problem solved. We are definitely not in short supply of the white stuff though. On Friday the kids had a half day. 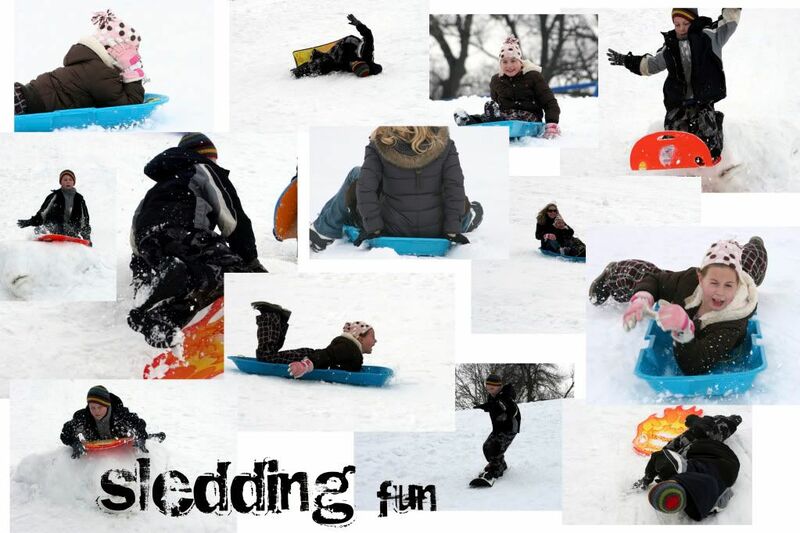 They got to go sledding as a reward for doing chores. 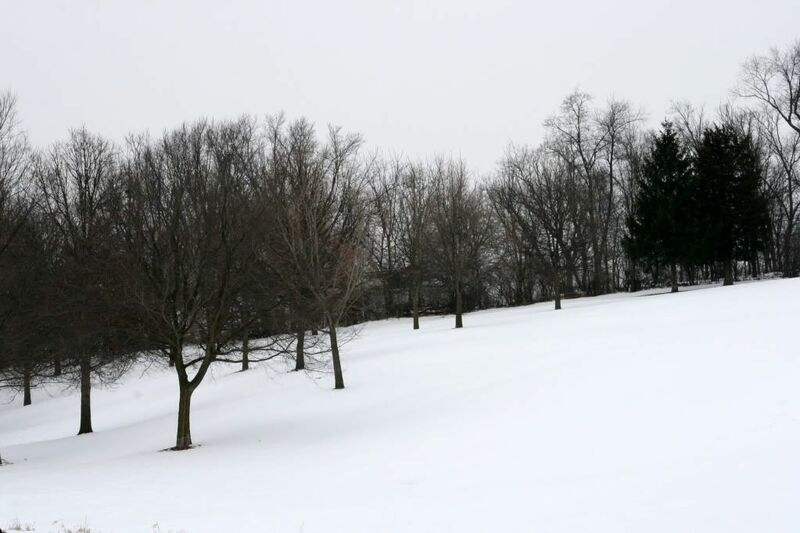 The hill was a solid sheet of ice. 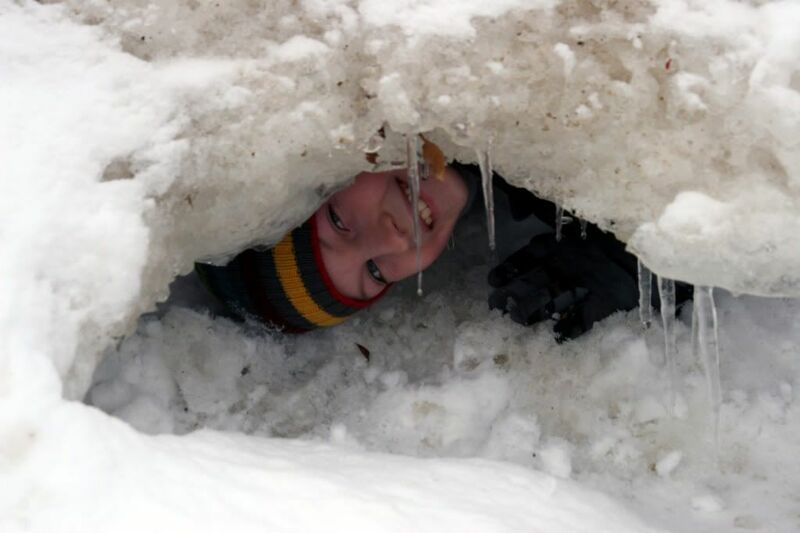 There were also large ice chucks scattered that the kids used as ramps. Little Man was the photographer for these photos. Although he has a much different perspective, he seems to be an amazing photographer in the making- a natural. This photo cracks me up everytime I see it. I was standing well out of harms way taking photos when Pokey's sled turned and headed right for me. 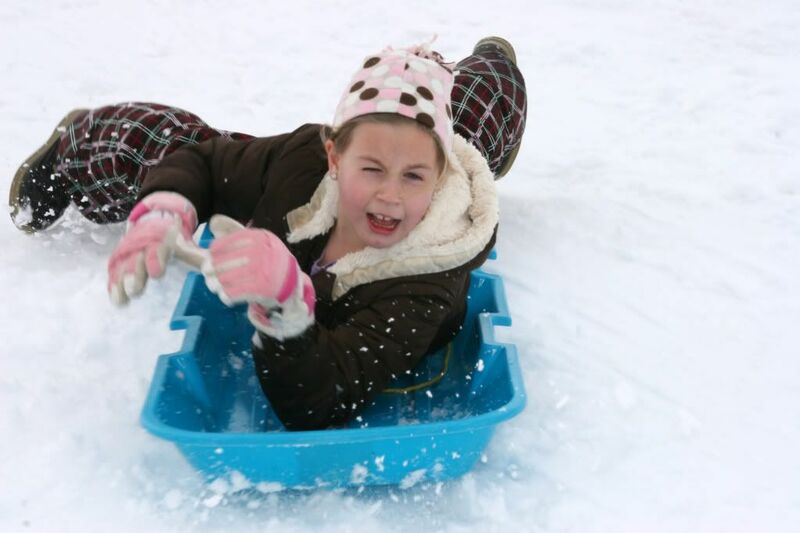 By the time I realized it she was literally about to plow into me and I had to jump over her sled. Luckily my camera made it out ok. There were way too many photos to pick just one. These were some of my favorites. 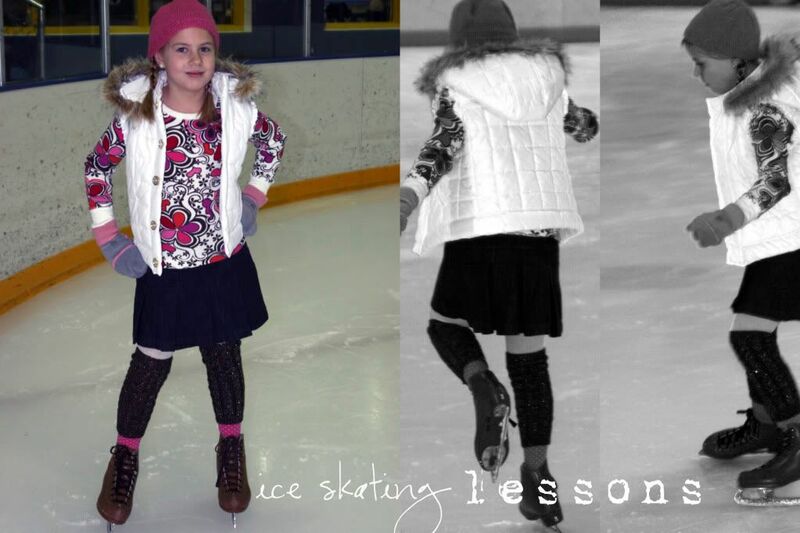 Pokey's ice skating is back in full swing and she is working towards advancing. This week she worked mostly on forward one foot glides, backward swizzles, and 2 foot turns. That about sums up our week... the good, the bad, and all the stuff in between. LIFE. If you actually made it this far, thank you. Thought I'd end with a quote to ponder. Hope you have a great week in spite of the many obstacles on this roller coaster ride we call life. Well said. There were a couple weeks when I felt I was being challenged everyday with common everyday things going awry. I kept trying to find meaning in it. What was I supposed to learn from it? I still don't know. I think pictures do have a great purpose that many don't realize. Best way to explain it is that I made Jason a photobook of our dating years and ordered it for V-Day. (will be posted to site for v-day post). It is a good reminder for me because I often complain that Jason and I didn't do enough together before we had Cohen or how we never did fun stuff. But after going through all those photos I realized I was wrong. How quickly we forget I guess. Your pictures do capture great moments and combined with all the other stuff is like you said...life. 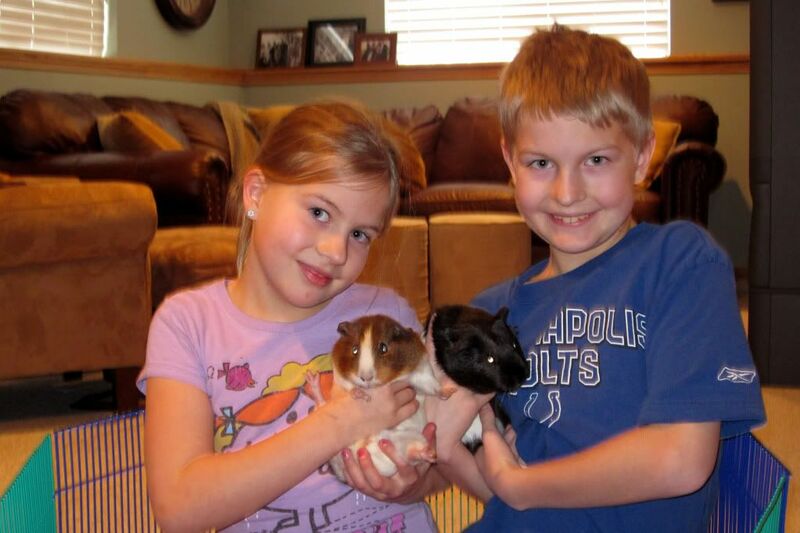 Oh btw, I am shocked that you've gone this far with the guinea pigs. I don't see myself ever having animals.I don't do smells either. Great post. You read all my long ones, so of course I read all of yours. wow....great post. love all the pics, looks like you guys had loads of fun. that one of camille is a classic!! 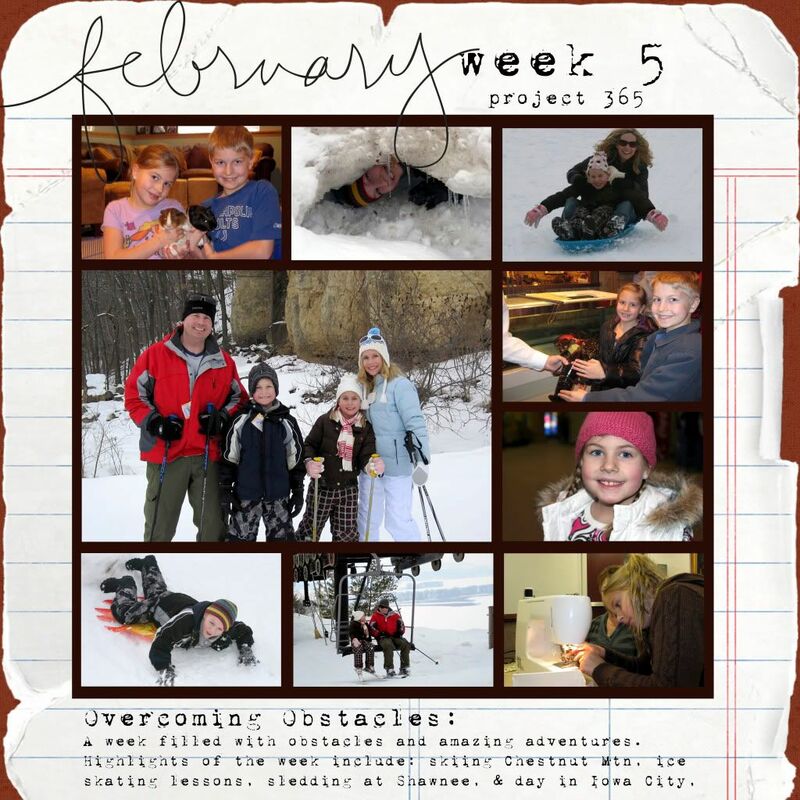 so have you found the weekly project easier than the daily one?